Simple lines, Old World elegance and 21st century materials combine for unparalelled beauty and ultimate sophistication. 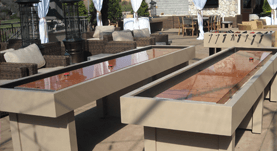 Clean contemporary lines and designer good looks create the Gold Standard of all-weather outdoor pool tables. 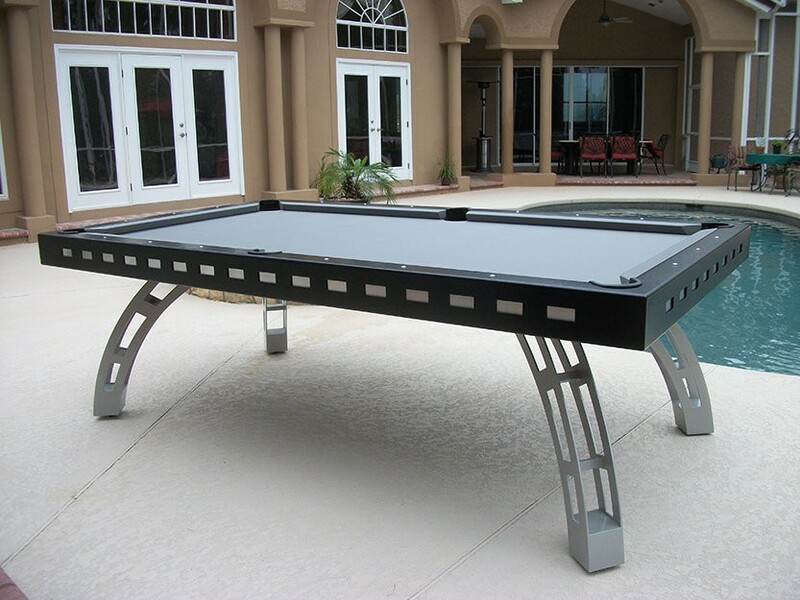 Take fun to a new level with Ping Pong, Foosball, Bumper Pool, Shuffleboard and more! 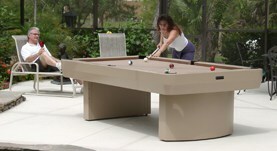 We began this simple idea over 25 years ago and wound up manufacturing the best outdoor pool tables in the world. We are the originals and the best. 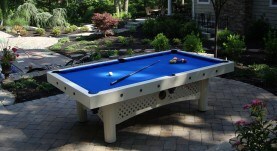 We have 5 generations in the billiard industry of standing behind our products and workmanship. 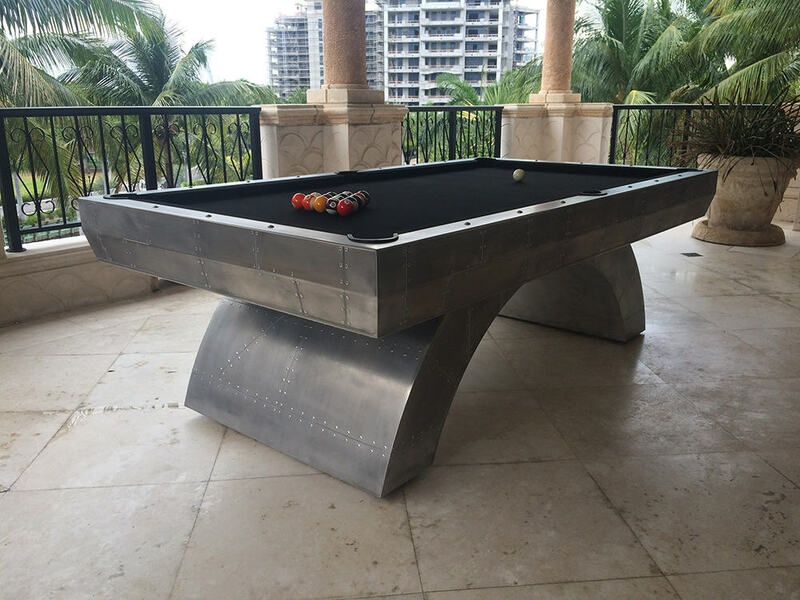 Our mission is our promise: To manufacture and deliver the best outdoor pool tables in the industry. To this end, we are dedicated to ongoing testing and evaluation to keep our products on top. 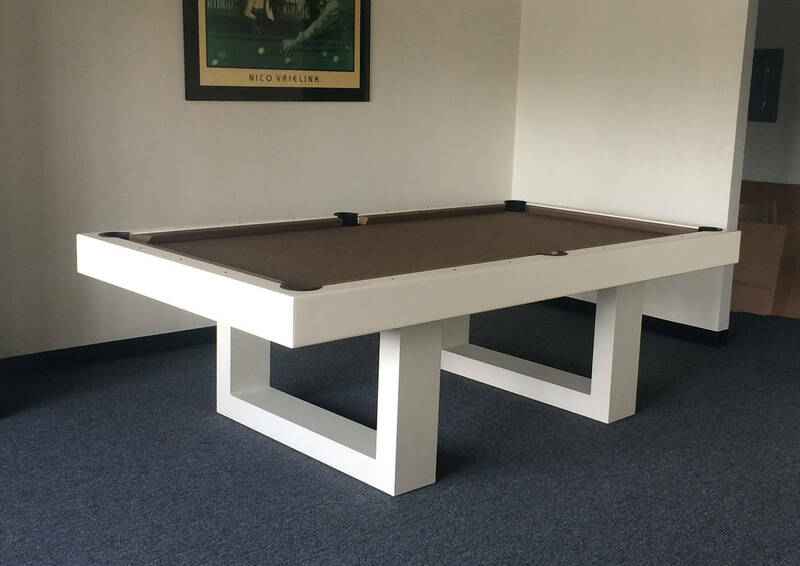 Our goal is to meet or exceed our customers’ expectations so that everyone who buys our all-weather outdoor pool table is pleased with the purchase and the experience.